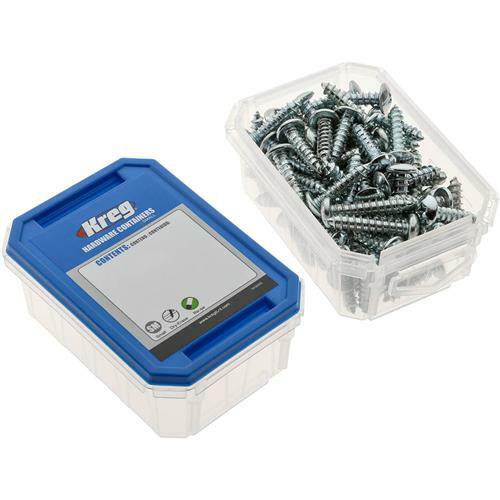 Kreg Hardware Containers are the perfect solution for storing and organizing all kinds of loose hardware. These handy containers are the same durable, resealable, reusable containers that are used to package Kreg Screws. The lids even have a surface that you can write on to easily identify what's stored inside. 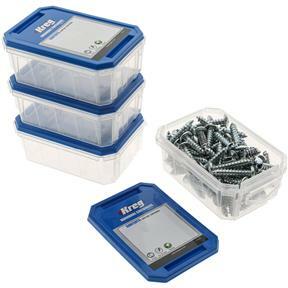 Both large and small hardware containers fit inside the new Screw Organizer and Kreg System Organizer. Set of four small containers, 3"W x 4-1/4"H x 1-7/8"D.